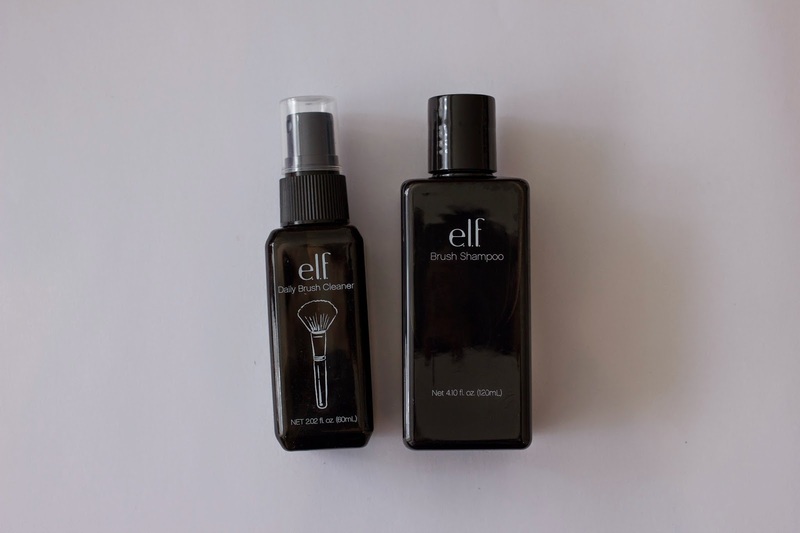 ELF Haul - Skip or steal! I don't use these eyebrow templates because mine aren't plucked and I prefer to fill in my natural brow more than creating an arch, maybe I'll use these some day. The brush is okay, the powder/gel palette isn't amazing but it does work. The clear gel is more than okay, I use it every time I do my eyebrows and it's not too sticky or thick, it's just perfect. The tweezers are just your regular cheap tweezers. 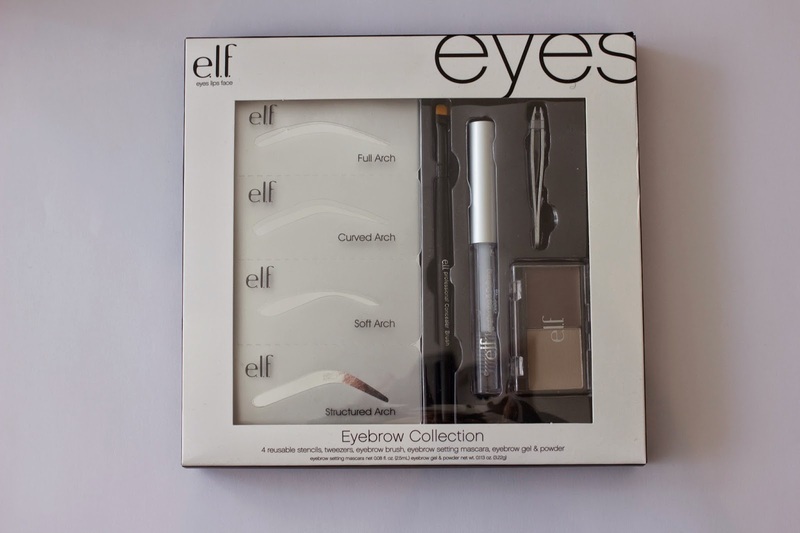 I'd say this kit is definitely a steal for someone who has never filled in their eyebrows before. If you already use a pencil and a gel you like, this is not worth the money! I can't really review this because I'm not sure how I would notice a positive effect of this brush cleaner. You spray it on a brush after using it to kill bacteria. It sprays on nicely and dries quickly. It doesn't affect the softness of the brush or in any way really. If you need a daily brush cleaner I'd say this is a steal! I usually clean my makeup sponges with oil and soap but since I've started using make-up brushes more frequently I decided I'd try a brush shampoo. I don't feel like this shampoo cleans my brushes better than normal soap/oil would clean them. This is an okay shampoo, especially for its price. But for me personally this is a skip. I'm not really impressed by these puffs. 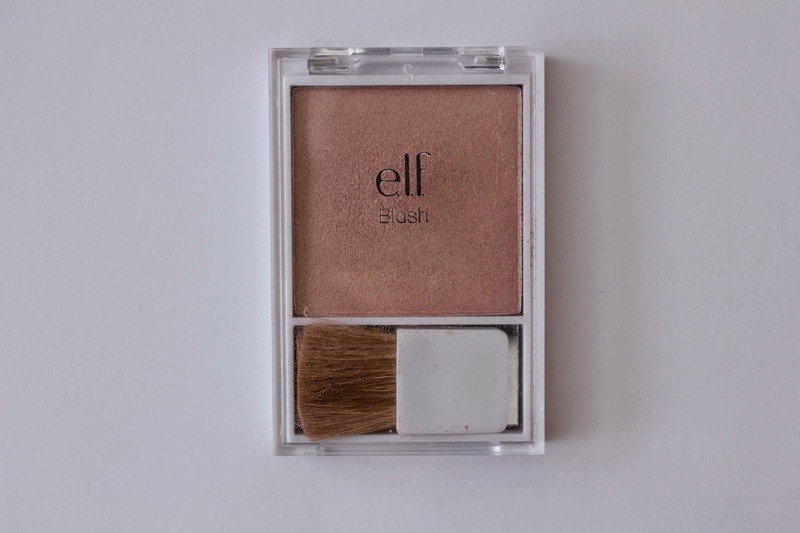 Too soft to apply compact powder, not fluffy enough for loose powder. Skip! Love love love this brush! It isn't the best quality (what did you expect with that price) but it does its job. 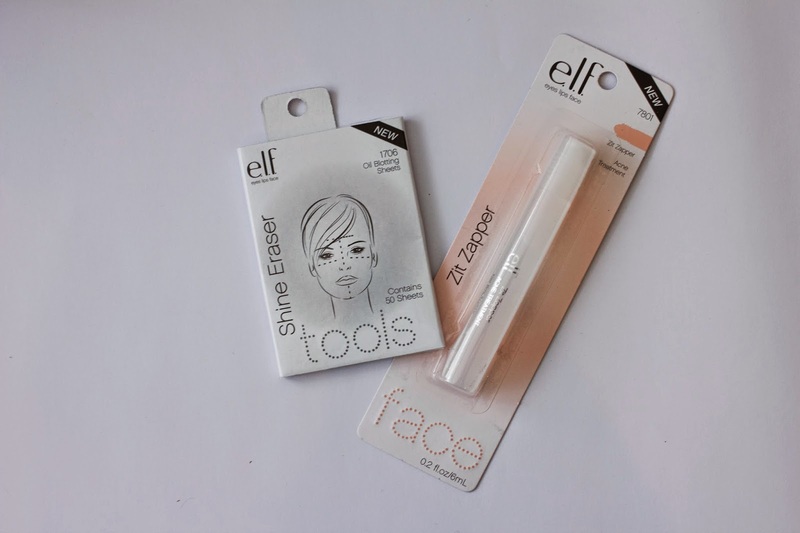 It's great for blending powder contour. I keep it in my makeup bag so if it gets caught in the zipper or I lose it, it won't be a tragedy. I haven't cleaned it yet but I imagine it wil lose some bristles in the process because it's not the sturdiest brush ever. 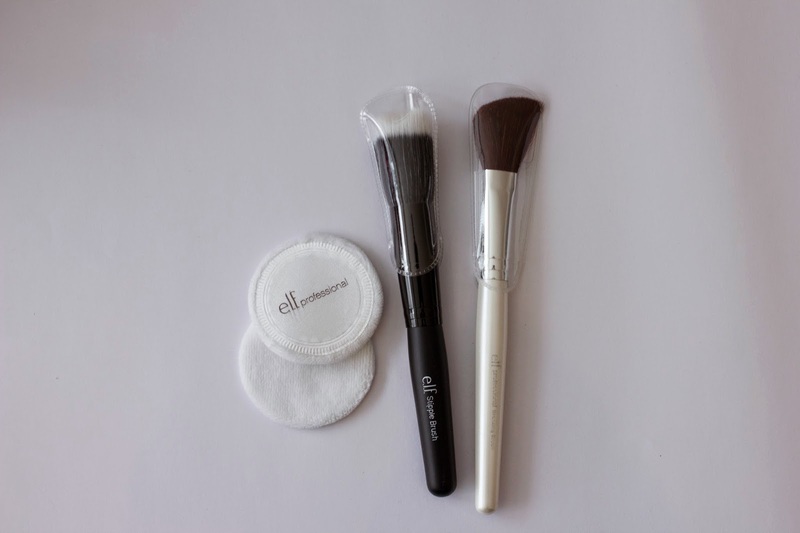 Great for beginners or for someone trying to figure out if a stipple brush is something they want in their makeup routine. Steal! If you need a quick, cheap brush for your on-the-go make-up bag that is multi purpose and cheap so you won't be sad when you loose it: this is your brush, Steal! If you're looking for a high quality brush... Skip! The eyelid primer isn't the best one I've used so far - Urban Decay primer potion is obviously way better- but for this ridiculously low price, I'd say it's a decent eyelid primer. 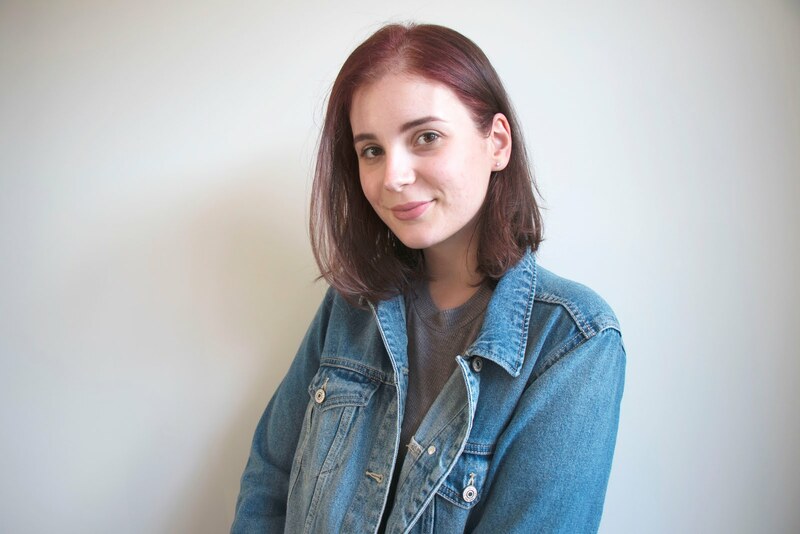 The product itself is kind of greasy but for me personally that wasn't really an issue. The application is great, like a lipgloss wand. It's not very pigmented, which I prefer anyway. The consistency and color are comparable to a concealer. This evens out some of the redness or discolouration you might have on your eyelids. The greasiness of this product does allow it to hold on to glitter eyeshadows a little bit better. But if you're trying to increase the pigmentation or lightness of an eyeshadow you are probably better of with an Urban Decay primer for example. Still, for 1 euro I would say this is a: Steal! 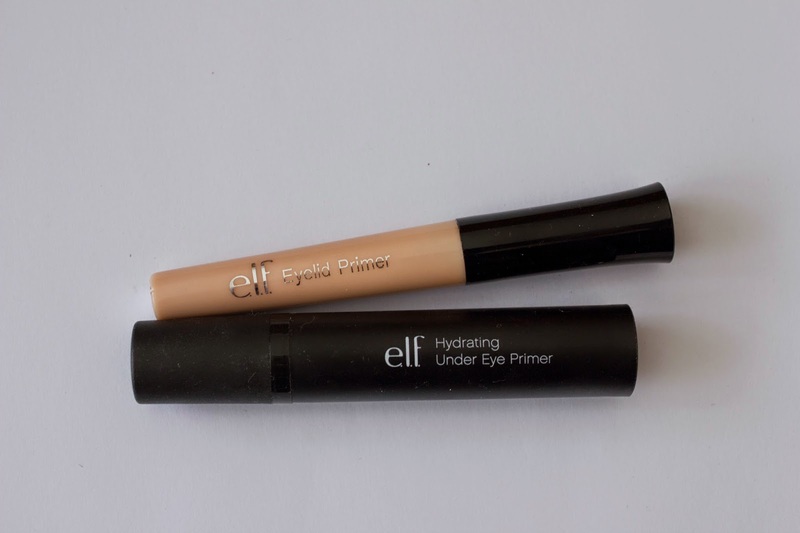 I have never used a separate under eye primer so I can't compare this to any other products. However I have noticed my concealer stays longer and creases less when I'm using this product so for me this is a huge steal! One of my biggest beauty 'problems' is my dark, under eye area where my concealer always creases and shifts during the day. I might try some other under eye primers from other brands now that I've discovered this. 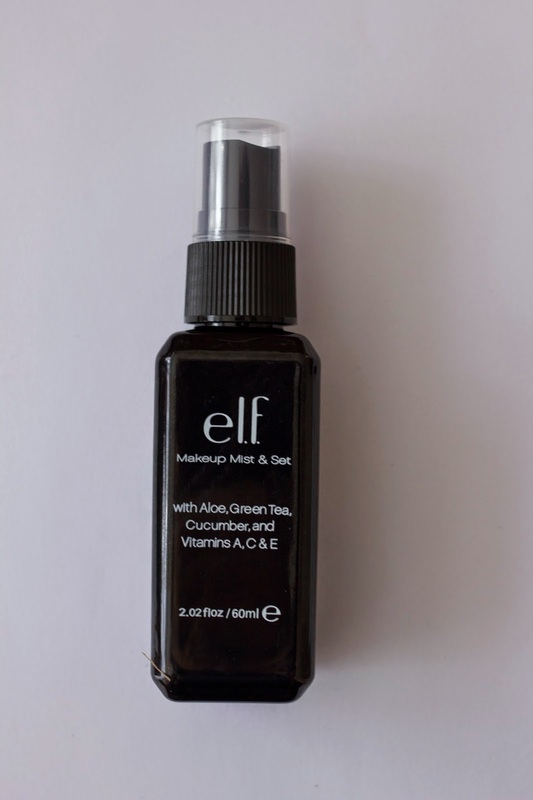 This is a very very greasy primer, that spreads easily without needing to much product. It doesn't seem to affect my acne or overall greasiness during the day. 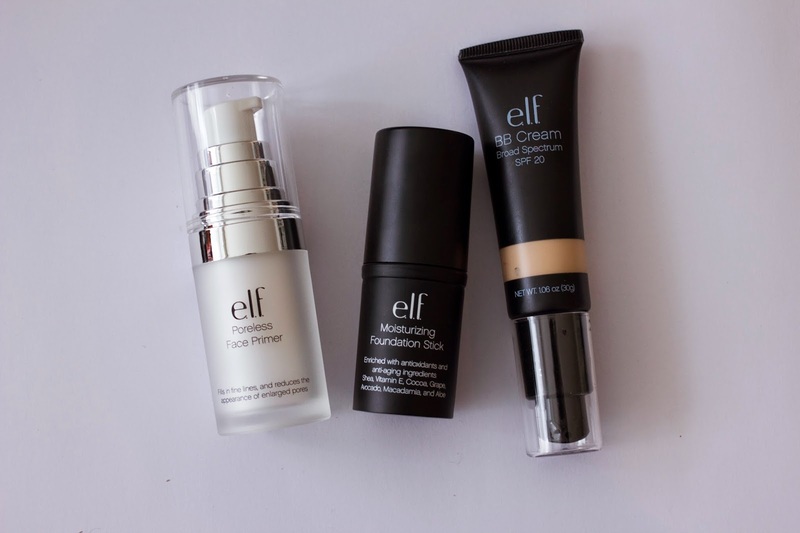 I have used this product in combination with this elf bb cream and also with my Stila foundation. I don't think my makeup stayed longer than usual. I didn't notice any 'poreless' effect so overall for me this is a skip! Even considering the price you'd be better of using a Rimmel Primer which is about 10 euros so slightly more expensive but in my opinion a better product. This is a very very covering foundation stick. It glides on nicely but there's a slight grain that bothers me. I don't like how this just lays on top of your skin. Buffing it in does help but I prefer other full coverage foundations over this one, mostly liquid ones. The application itself is very easy though. But I'd say this is a skip. There are probably many better BB creams than this on on the market but overall I can't complain. The coverage isn't amazing, but if you don't need full coverage it's ok. SPF 20 is a plus. The color matches my skin very well and the pump isn't too bad either. I can't decide wether this is a skip or steal. I'll keep using it until I've decided. Cheap, easy, always useful. Steal! The zitzapper doesn't seem to do anything for me. It might make sure zits don't get worse over night but it doesn't 'zap' them. It kind of tingles when you first put in on but in the morning I didn't notice any results. This is a skip for me! I really don't have anything bad to say about this product, besides maybe the weird shape of the lipstick itself. It's a very thin lipstick. However this is still a skip for me. It tastes nice, glides on easily and the color is ok. It even has SPF. But for the price, you can buy other nice lip tints as well. And like I mentioned, I'm not a fan of the shape. This eyeliner has a very flexible brush tip. The eyeliner is very very liquid and needs to dry. For some people this would be a deal-breaker. I quite like this eyeliner because I bought it to have a cheap eyeliner to practise with. I need to perfect my wing and this is a great practise eyeliner because it wipes away easily and isn't harsh on the skin. I'd say this is a steal! I don't have much experience with make-up setting sprays but the ones I have tried were awful. This mist doesn't feel like an extra layer on your skin. 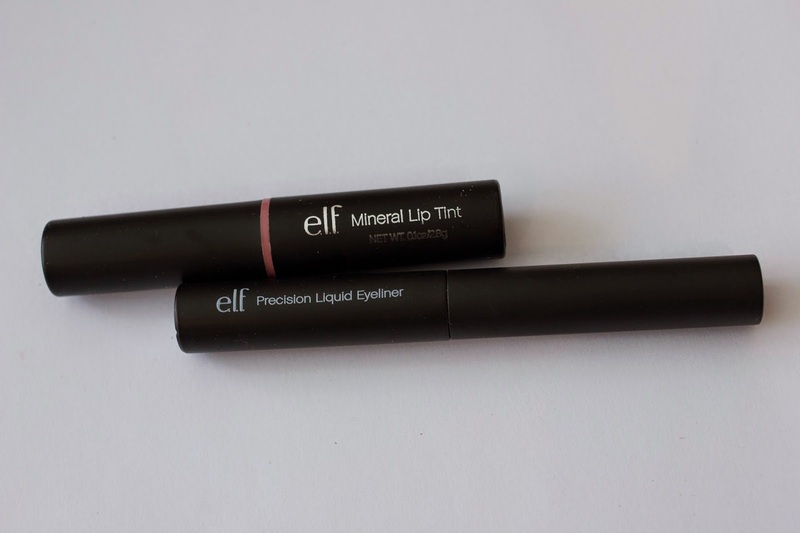 It goes on lightly and I have the feeling it does actually prolong the wear of your makeup. This is a steal!